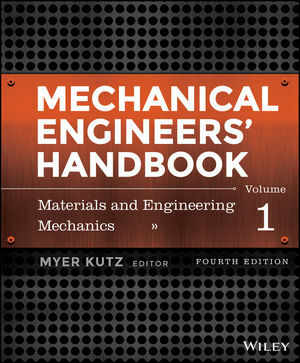 Mechanical Engineers' Handbook, Fourth Edition provides a quick guide to specialized areas you may encounter in your work, giving you access to the basics of each and pointing you toward trusted resources for further reading, if needed. The accessible information inside offers discussions, examples, and analyses of the topics covered. This first volume covers materials and mechanical design, giving you accessible and in-depth access to the most common topics you'll encounter in the discipline: carbon and alloy steels, stainless steels, aluminum alloys, copper and copper alloys, titanium alloys for design, nickel and its alloys, magnesium and its alloys, superalloys for design, composite materials, smart materials, electronic materials, viscosity measurement, and much more. 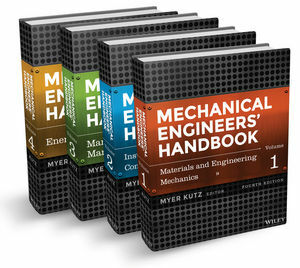 Engineers at all levels of industry, government, or private consulting practice will find Mechanical Engineers' Handbook, Volume 1 a great resource they'll turn to repeatedly as a reference on the basics of materials and mechanical design.